This is a mixed-use project located next to the Shanghai’s Qingpu Xujing Conference and Exhibition Center development. It comprises a five-star hotel, a shopping centre and a sales gallery, offering premium supporting facilities to one of the world’s largest conference centres and the larger Hongqiao central business district.In response to the ‘clover leaf’ concept of the conference and exhibition center, the leaf-shaped buildings are organised coherently to direct circulations. The hotel and shopping centre will work together to form a very welcoming entrance to the whole development. The sales gallery, the first building visitors will see coming out from the convention and exhibition center, is designed to be seductive with a strong visual impact. This is a mixed-use project located next to the Shanghai’s Qingpu Xujing Conference and Exhibition Center development. 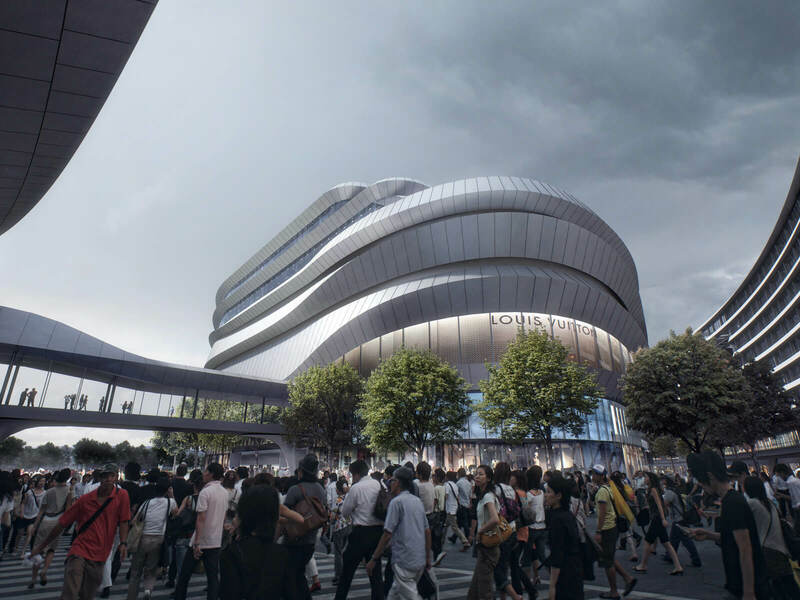 It comprises a five-star hotel, a shopping centre and a sales gallery, offering premium supporting facilities to one of the world’s largest conference centres and the larger Hongqiao central business district. In response to the ‘clover leaf’ concept of the conference and exhibition center, the leaf-shaped buildings are organised coherently to direct circulations. The hotel and shopping centre will work together to form a very welcoming entrance to the whole development. The sales gallery, the first building visitors will see coming out from the convention and exhibition center, is designed to be seductive with a strong visual impact.